Great Big Parking Lot in front that extends throughout the River Road Shopping Center. Relaxed refinement, outstanding meals, and impeccable service blend to create unforgettable Italian dining at Azzurro. Whether seated on the softly-lit patio or inside near the comfort of a crackling fireplace, this award-winning restaurant embodies an elegant, yet warm, intimate ambiance. Here you will be greeted by a friendly, attentive staff eager to assist you with seating, menu selection, and an extensive wine list. Most important is our desire to provide an exceptional, memorable experience. Ranging from a casual luncheon to celebrating that most special occasion, Azzurro is the ideal choice. Excellent dining experience. Food, cocktails, ambiance, and service all superb. I noted in my reservation that it was my husbands birthday but nothing was ever mentioned. Service and food were great but table was awful. Literally had a mans back almost touching our table. Excellent service. Wish they offered more selection of soups. 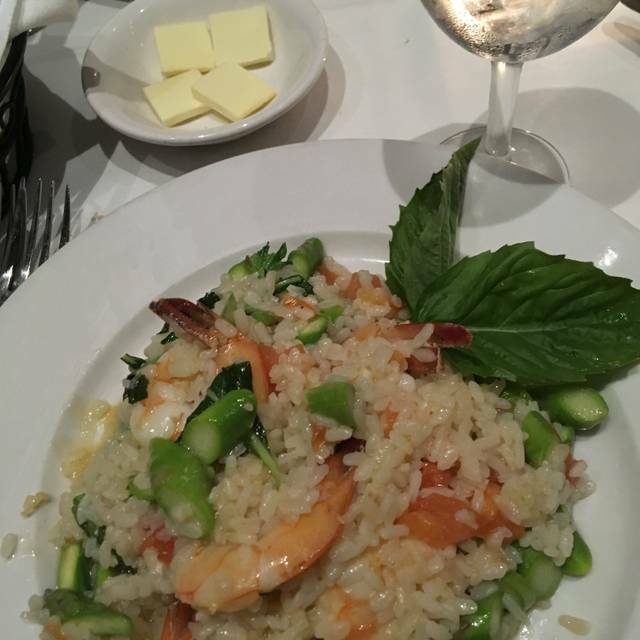 On Friday, April 12, my family and I enjoyed another excellent dinner at Azzurro Restaurant. Food, service, and ambience were outstanding as always. Special thanks to our server Jarrod whose friendliness and professionalism helped to enhance our experience. We look forward to seeing everyone again on Saturday, May 11, the evening before our son Tom graduates from UR. Susan and I have enjoyed dining with you these past four years, and we’ll return again every time we’re in Richmond. It was the perfect night to sit outside. The waiter seemed too busy to give our table individual attention. The food was excellent. Wonderful food! Thank you for a great birthday dinner for my husband. The tiramisu cake is Fantastic; server a bit too inattentive and always know that it is loud. 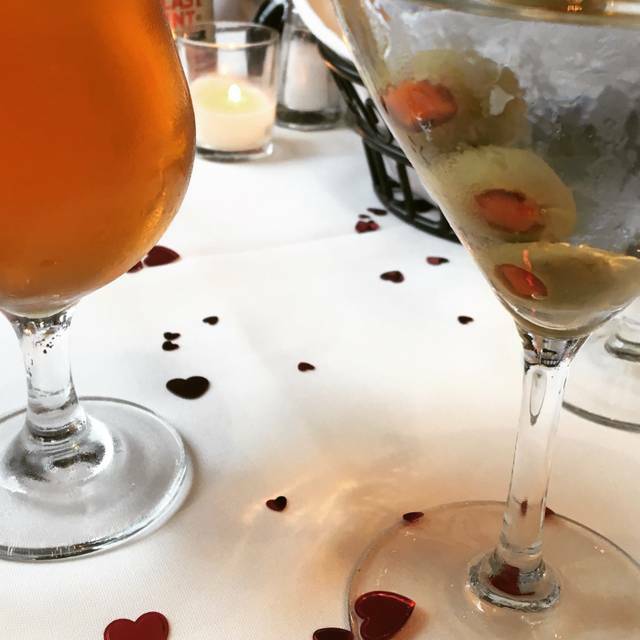 We visited for our anniversary, the service and of course the food was amazing! We were treated to a delicious piece of cheesecake for our celebration! WOW! It was the perfect place to celebrate our wedding anniversary. They made us feel so special! Our server was the best of the best! Our meal was AWESOME from start to finish. Amazing salads, spectacular entrees and oh my, the most delicious cheesecake to end the evening. Absolute PERFECTION!!! Always love dining at Azzurro. Friendly. Consistent. I will come back over and over again. Best italian in richmond. Fabulous apps and the pescatore is the best. Exceptional Italian food and wine. Wonderful service and ambiance. 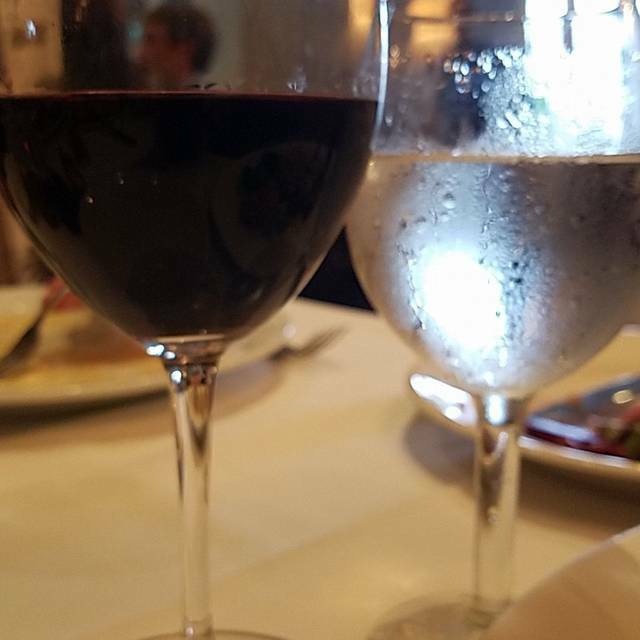 Great food, wine and waiter. Noisy though. Very good service and the food is always excellent. Always a good meal. The bread is homemade and fresh. Best of all are the specials. Though the specials vary, they nearly always have a seafood choice--which is always excellent. Food was good and service was okay, but I was charged for a drink that I never received. It was my fault for not closely reviewing the bill before leaving the restaurant and I was already home by the time I noticed it, so I wasn't going back to dispute it...It would've cost more in time and gas than the cost of the drink. Just be sure to review your bill before you provide payment. A server spilled sauce on my trousers. Wait staff terrific. Food was OK this time. 1 meal was excellent, the other was average. Maybe I shouldn’t have picked the fish special!? Excellent service. Waitress was great. A bit noisy and a bit pricey but the food is delicious and the portions are big so you get lunch the next day. A bit disappointed this time. Ordered Pollo Picatta, there were no capers and there wasn't much flavor. Usually this place is spot on. Have been going here for over a year. Hopefully it was just an off night. Service and food 5 Star! Great food, great service. A bit pricey for the type of meal but not outrageous. Very noisy. We had a great table by the fireplace on a cold rainy afternoon which was great! Our server was excellent and very attentive. The food was delicious! Our friend was celebrating her birthday and our server brought her a dessert complete with a candle! We had a wonderful experience! Disappointed for first time. Linguini with scallops was beautiful with several large scallops but had little taste. Outstanding. 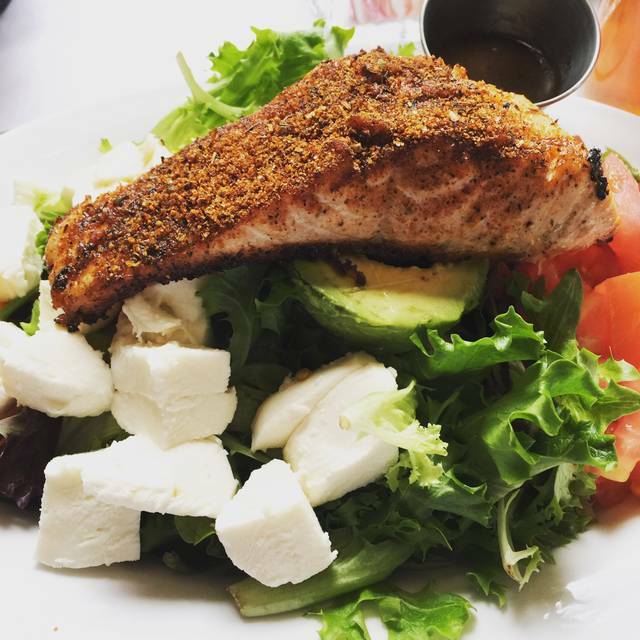 My blackened salmon avocado salad was great, good, fast attentive service, nice ambiance. A wonderful local casual spot with fantastic food! Food was very good. Drinks great. Too much air blowing on tables making it a tad uncomfortable. They tried to fix it but... Still a lovely evening. While the food and service were quite good, the noise level was extremely unpleasant. When we mentioned it, the waiter said up by the bar was quieter. When leaving, we mentioned it to the hostess, and she said the bar could be noisy, too, depended on the night. We (party of 2) were seated in a corner adjacent to two groups of 12 women each - they should have placed us elsewhere, it ruined a birthday celebration for us. Thank you for seating our party in a "quiet" area for a meeting lunch. A great evening with friends ! Excellent service and food ! Best restaurant in Richmond! Love everything about it. Usually a lovely spot, on our most recent visit a large party captured all the staff’s attention and drowned out the rest of the diners with their raucous fun. Food was a bit off from the usual high standards. Red wine reduction seafood risotto is a big miss. Hoping for better luck on our next visit. We know A can do better. My husband and I got a terrible table right by the bar. We could not hear each other, and the waiter could barely get to us for our order. Besides that issue the food and service was good. I recommend requesting not to be at the tables by the bar. Entire meal was fantastic. I took my wife, daughter, and sister for Valentines Day, and they had a great time. Portions were very generous. Will be back. This is a warm, inviting restaurant where you can always count on great service and good food. The atmosphere is enjoyable. I have been going to Azzuros for over 20 years and it never disappoints!